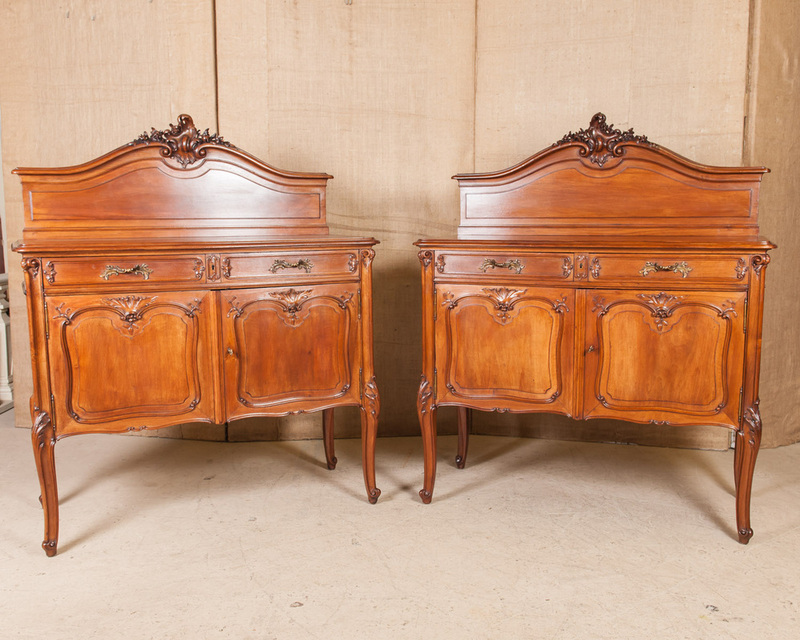 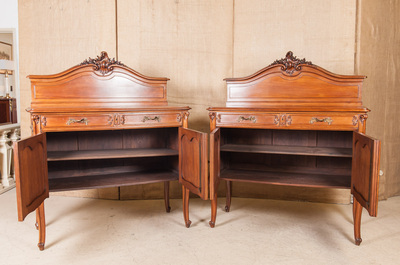 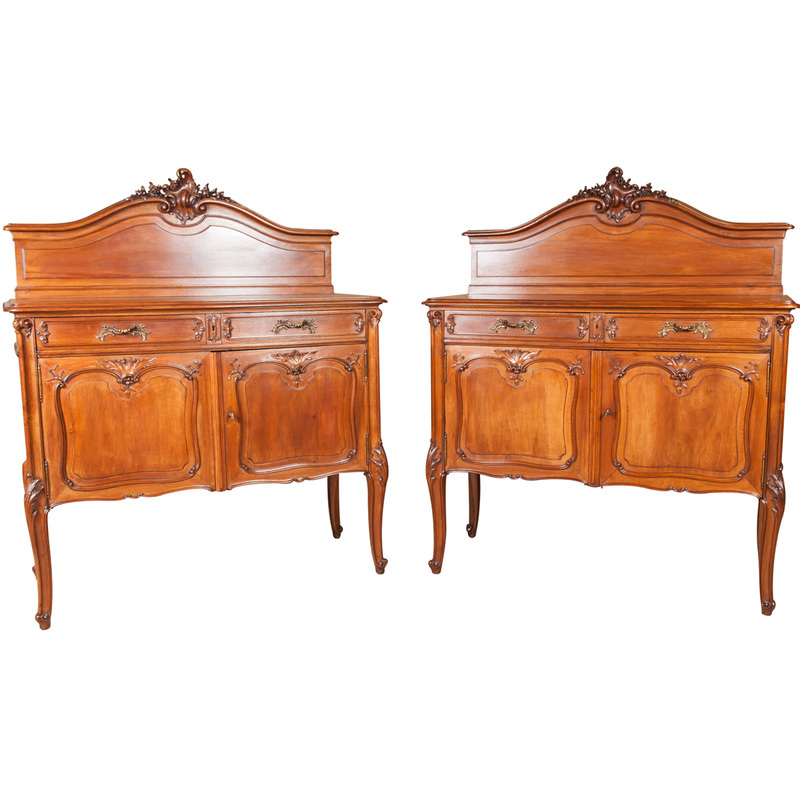 Frédéric Schmit pair of Louis XV style buffets. 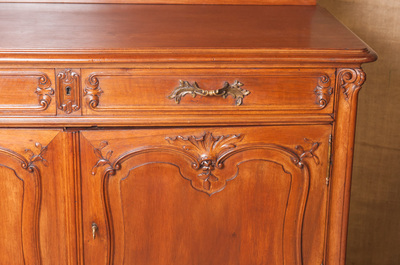 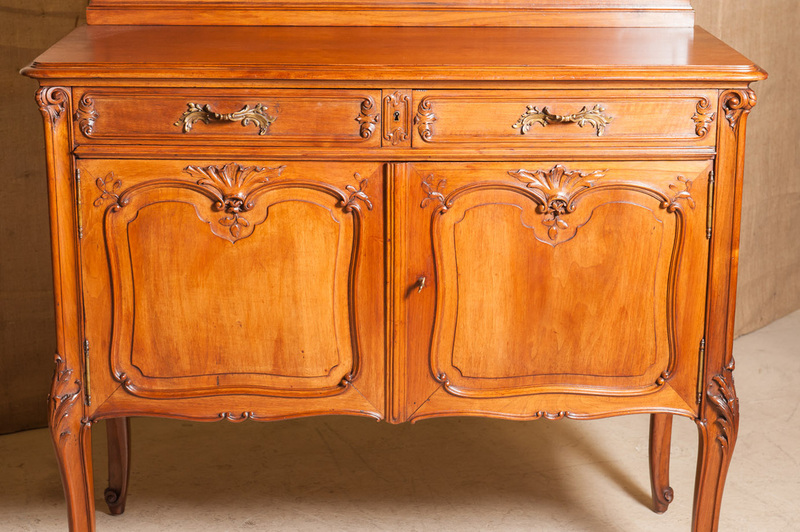 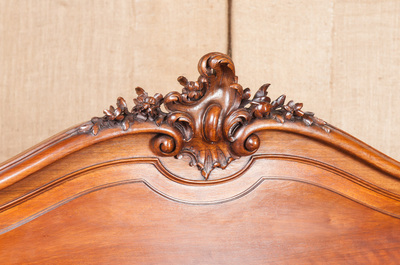 From La Belle Époque period in France, these beautiful and expertly crafted solid walnut buffets by famous French ebenisterie SCHMIT are a faithful Rococo revival, from the elaborately carved flowers and acanthus leaves on the back splash to the graceful carved cabriole legs ending in escargot feet. 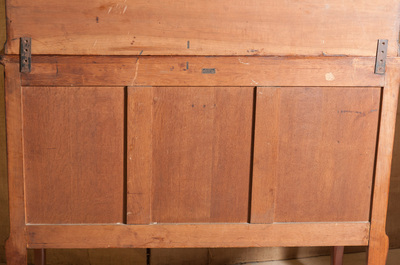 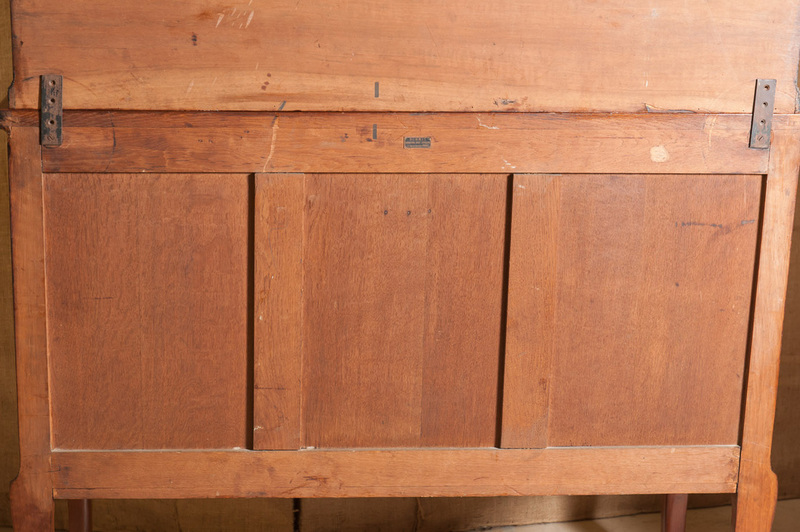 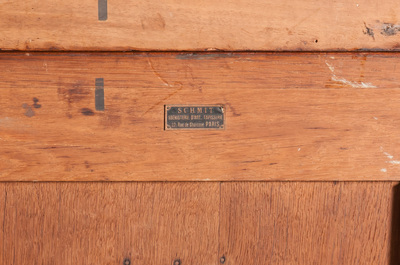 Two drawers over two carved panel doors featuring original bronze hardware. 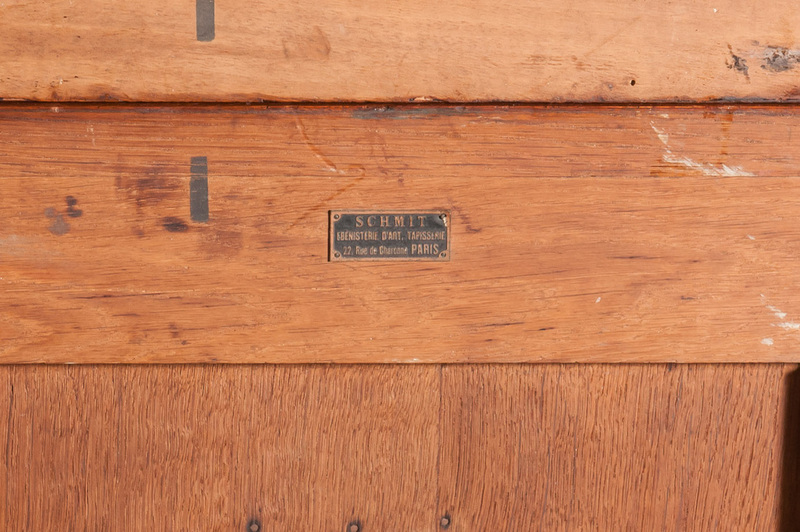 With the metallic label stamped SCHMIT / EBENISTERIE D'ART, TAPPISSERIE / 22, Rue de Charonne, PARIS. Would make wonderful vanities in a master bath. 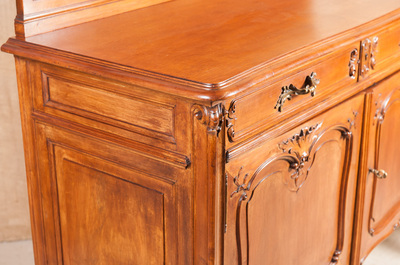 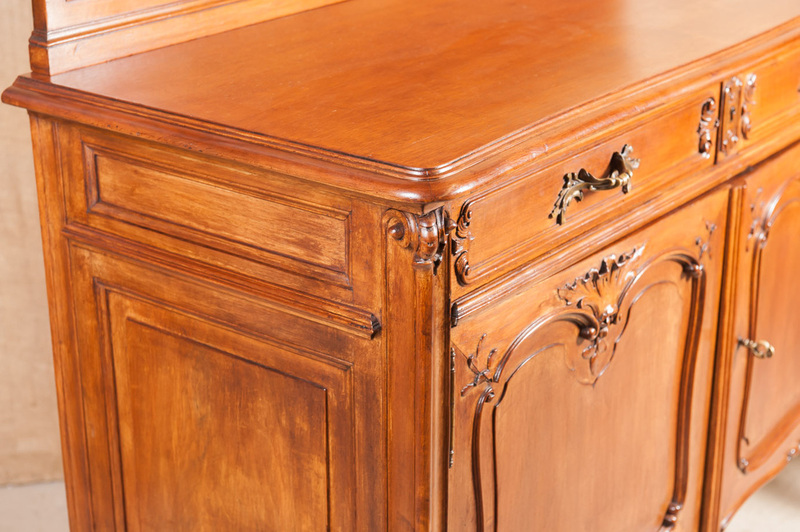 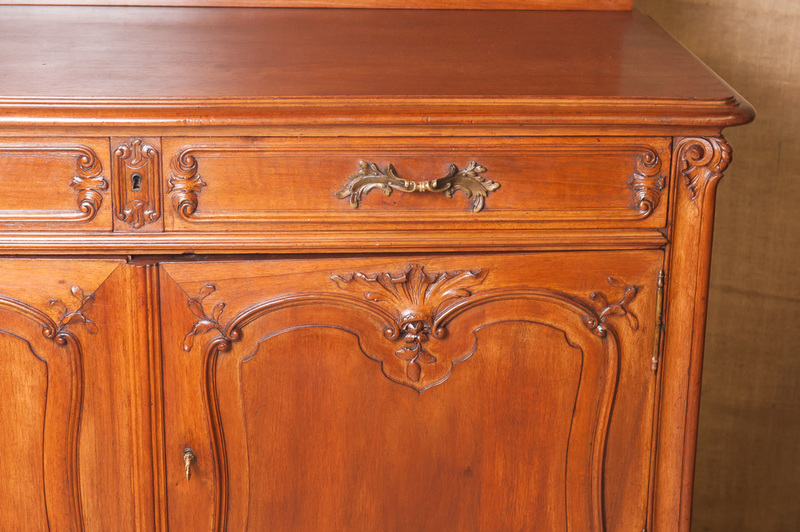 Frédéric Schmit was one of the greatest French cabinet makers of the second half of of the 19th century, active in Paris at the Rue de Charonne starting in 1856. 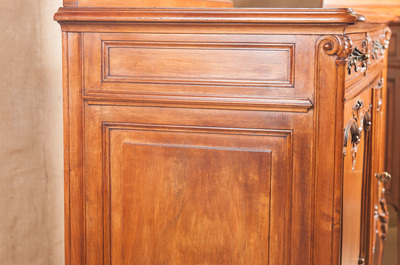 He received Gold Medals at the 1878 and 1889 Expositions Universelles in Paris. 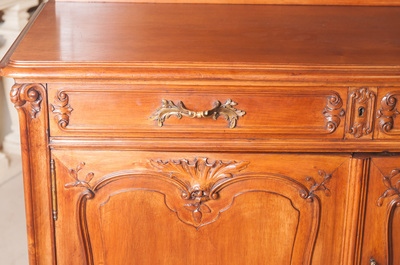 A French ormolu-mounted mahogany bureau plat attributed to SCHMIT & CIE realized $47,124.00 at auction January, 2006. A Frédéric Schmit transitional style gilt-bronze mounted quarter-veneer flamed figured mahogany buffet realized $18,750.00 at auction October, 2010.
back h - 59.5" top h - 40.5"